We appreciate you checking us out. Living in San Diego, there is certainly no shortage of quality martial arts schools and activities to engage in so we are appreciative of your time. You will get your money's worth at Three Treasures. On many levels, we are underpaid for what you will be learning about yourself. We do things old school at Three Treasures. The customer is not always right and you will earn everything you get here. We do not baby students nor tell you what you want to hear. We do not view our Kung Fu department as a commodity to be treated lightly by students or a side activity to keep kids busy. We are very specific on who is an ideal candidate to be a part of our Kung Fu family. We are looking for individuals who want more than one dimensional training and to disoover themselves along the way. We want busy working parents that want their children to learn somewhere that will be strict on their kids and impart family values. A martial arts school is a place for higher education and revelation and should be respected as such. It is these beliefs that have helped Three Treasures become one of the most trusted names for Kung Fu and Lion Dance and why our Youth Mentorship after school program is changing how parents view enrichment for their children. 1. Is that training balanced and practical? Martial arts training should be like your diet: well balanced most of the time with situations where you may emphasize one aspect over another. Self-defense and sport fighting are not the same thing and require different skill sets. One is unplanned and can result in serious injury or death in a matter of seconds while the other is a chess match and war of attrition. Most martial arts schools emphasize sport fighting while advertising it as self-defense which can be extremely misleading. Three Treasures has two specific programs aimed to satisfy the needs of both situations: Guerrilla Boxing for conditioning and sport fighting and Intro to Kung Fu for complete self-defense and additional aspects such as weapons, Qi Gong, and advanced level training. Three Treasures engages in some sport fighting (BJJ, San Shou) because we enjoy it and see the value but we make sure to balance that with practical training that helps put you in the best position to address specific circumstances. 2. Is the training and environment fun and rewarding? Let's not fool ourselves. Most of us will never be attacked. We are all training for a hypothetical attack that may never happen. So there has to be other factors in choosing martial arts training over other activities. Kung Fu is unparalleled for providing health benefits as well as fun and engaging exercises that keep your attention for the long haul. Our system of Kung Fu is well rounded enough that you could rotate to another training within the system when you feel less motivated. You can't make that claim with most martial arts that teach just one aspect of fighting. Qi Gong (Chinese Yoga) and Tai Chi are a part of our curriculum and offer exercises that rebuild your body and enhance brain activity. Weapons training and Lion Dancing are additional activities that improve your health, strength, coordination, and are a lot of fun to do. Our environment is conducive to active physical and character development. Getting into Three Treasures is not difficult but staying beyond a year or two is. The training is challenging and our expectations are high therefore you will gain a lot of insight about yourself. Knowing yourself well eliminates depression because you are comfortable in your own skin and can block out distractions and negative thoughts that sabotage your success in life. When you can deal with stressful situations and make good decisions for yourself, you tend to be a happier person. Three Treasures Kung Fu can help you achieve this. To further maximize your experience, Three Treasures hosts quite a bit of fun activities throughout the year that you can be a part of. 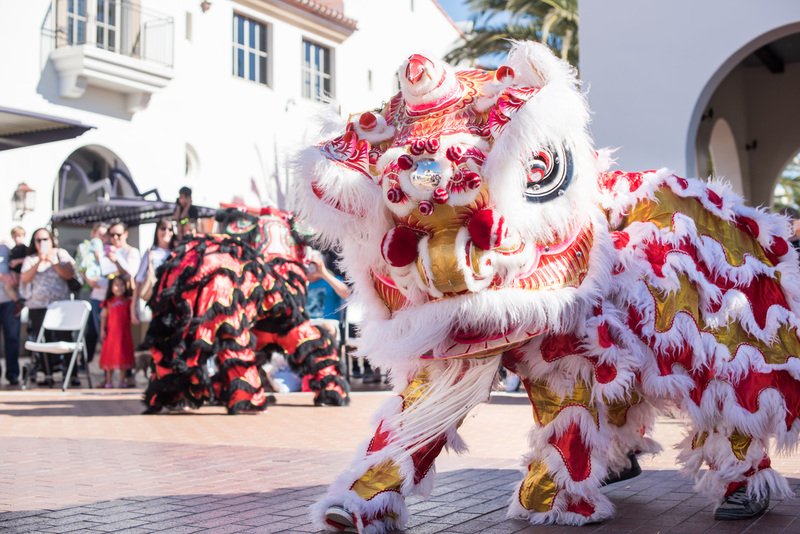 Lunar New Year is always the most fun with all our Lion Dance shows as well as annual events like our Gala, Children's Fair, Casino Night, Costume Ball, and more. We also have community outreach programs such as our Building Bridges and Out and About projects. All students begin on a 30 day trial starting from the date of your enrollment. You begin with 3 private lessons with one of our staff to get your familiar and acquainted with the terminology and physical movements. After the 3rd lesson, you are free to try out our classes within the 30 days. After this period is over, we will offer you our honest feedback if our style is right for you. No uniform is needed during this trial period and additional private lessons are not offered. This class is similar to MMA but Kung Fu style and is best for busy people looking for basic self-defense and getting in shape. 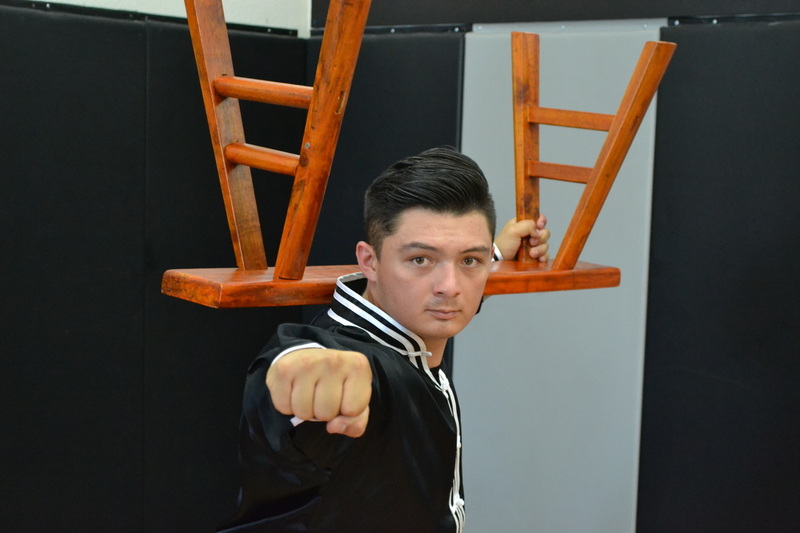 This class begins with an introduction to striking and kicking and is a great way of getting in better shape while gaining a solid understanding of stand-up fighting. This class requires sparring equipment for your protection. Private lessons are not included. Best for individuals looking for all that Kung Fu can offer. This class builds upon the Guerrilla Boxing. Curriculum is expanded to include the grabbing and take down techniques for additional self-defense as well as more intricate striking and kicking techniques. This program also includes set training (classical and new) and introduction to weaponry; ground fighting; Tai Chi and Qi Gong; and Lion Dancing. Students in this program may still attend Guerrilla Boxing classes at no extra charge. Private lessons are included and begin after your 30 day trial period. If you are in good standing (and why wouldn't you be?) and continue the training into the 2nd year, your tuition rate drops to $135 a month where it will stay for the remainder of your time with Three Treasures unless you are approved for Masters Program or switch to Guerrilla Boxing. ​Those who wish to teach or want higher level training will move up to the Masters Program with Sifu's approval. Only the most trusted students will be allowed in this group. Masters Program students and staff may still attend all lower level classes at no extra cost. Tuition for Masters Kung Fu is reduced from $160 to $100 because you are helping Three Treasures directly and are part of our trusted Kung Fu family. All our kids are on the Masters Program track. The first 60 days revolve more around character building and coordination training. During this time is when we are getting to know your child to access his or her ability and how they learn best. Having the right students helps us keep the quality, fun, and family atmosphere. Be a fun person to work with. Class begins with a salute to the instructor, who is responsible for imparting knowledge. The salute symbolizes your respect for the process and instruction. It also represents a shared interest in the knowledge of the systems we teach. Warm-ups follow to prepare the student physically and mentally for learning and practice. After stretching and warm-ups is followed by a five minute meditation to get our minds right. Instruction for the entire class begins with everyone practicing the exact same techniques. Instruction is slow at first with a lot of discussion on theory and application. Then we break up into pairs and work on each technique continuously. Applications of the techniques are drilled over and over again. Class may also be broken into small groups lead by the older brothers and sisters of Three Treasures. Each class has their specific purpose and scope. Please note that private lessons are offered as a courtesy at no extra cost to you so please take them seriously. That is where you will be learning material not found in our classes and material for your testing. Your tuition is the same with or without private lessons. Lessons are about 27 minutes long and taught by the older Kung Fu brothers (SiHing) and sisters (SiJie) approved by Sifu. Students are expected to arrive 15 to 30 minutes early before their lesson so they have sufficient time to stretch and review their material.